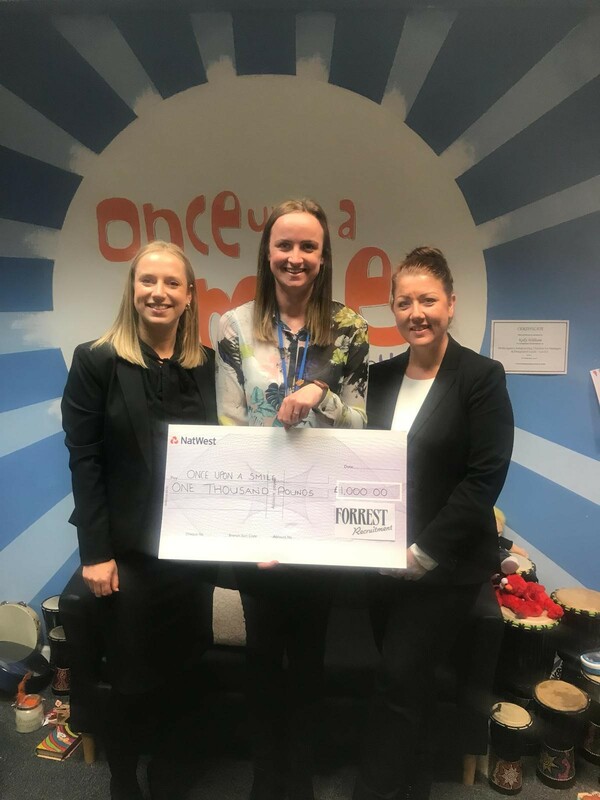 Our Altrincham branch have recently had the honour of donating £1,000 to Once Upon a Smile, a charity that provides emotional and practical support to bereaved families. Founded in 2011, Once Upon a Smile is the only bereavement charity in the UK and they offer memorial days, support groups, creative activities for children and financial support for families struggling to cope after the death of a loved one. They are a charity close to our hearts in the Altrincham branch. Frankie and Branch Manager, Louise met with Angela Carrigan, fundraiser for the charity, and there were heart-warming smiles and teary eyes as we swapped stories. We can’t wait to hear how our donation has helped this charity as it endeavours to support families through the most devastating and difficult times of their lives.